First I am thrilled to announce that the park is free for youth that are 16 and under! If you don’t fit in this age range the park fee is only $5 for an individual and $15 for a car. For elementary to middle school age students, many school groups from around the Puget Sound participate in NatureBridge every year. The field science camp hosts up to five to six thousand students every year! Unfortunately this program is not available for individuals, only large school groups. Another program for 5th graders is Now Science at the Marine Life Center. Local students can test water quality and harbor health as well as dissect albatross bolus. Rangers also bring lessons and artifacts to 4th grade classrooms in a program called Ecosystem Olympic. Dean was thrilled to announce that this year the park is accepting application for a Student Conservation Association (SCA) Education/Outreach Internship. He informed us that all interns come through both the SCA and the park’s volunteer program, run by Heather Stevens, the volunteer and youth coordinator (Heather’s contact info: 360-565-3141). If you are interested in an internship I would seriously consider checking out the SCA website! Normally at Olympic there are fall-winter, spring, and summer internships. The SCA also has high school trail crews go through the park every year. Working on an SCA trail crew is a great way to meet people who are also passionate about the environment, get in shape, and spend time outdoors. Washington Conservation Corps also has crews in Elwha, Marine Debris. 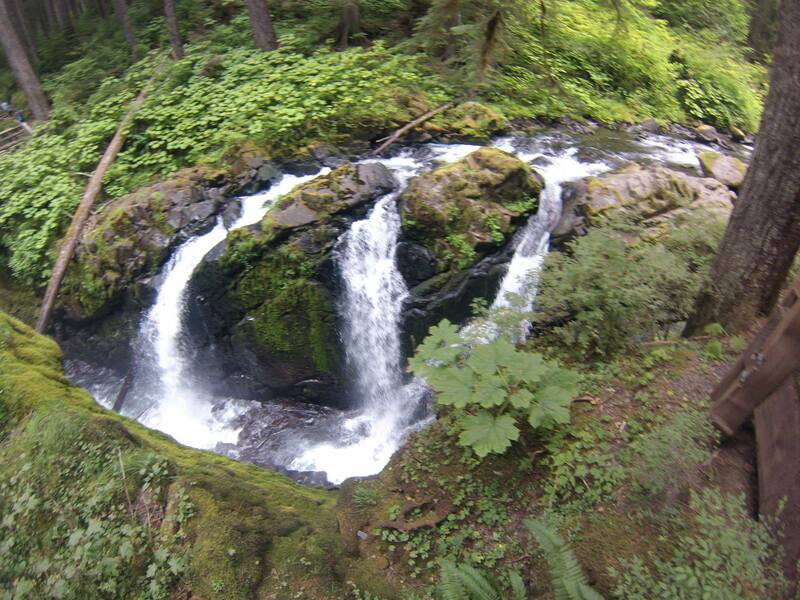 Finally, North Olympic Peninsula Skill Center Natural Resources also looks for volunteers. Another great opportunity is the NatureBridge Olympic Summer Field Research Course which provides scholarships to go backpacking and conduct research for two weeks. The research course is for students entering 10th, 11th, or 12th grade, or who have just graduated high school with a passion for science, adventure, and fun. Check out the NatureBridge Olympic Summer Field Research Course website for details!